Holy cow…I am a sucker for anything bread! And I’m also a health nut! The common doctrine currently is that you can’t have carbs and be in good shape! Sooooo, are you saying these are legitimately healthy? Xan, unless you are celiac or diabetic, carbs are not simply good for you, they are essential to keep you well! Therefore,yes, bread is good for you. Having said this, you have to distinguish between good breads and no-so-good ones… The not-so-good ones are those soft, sugar and fat-loaded bombs you buy at some Bakery chains… In general, the softer ad the whiter the bread the more sugar and fat it contains. Good bread is made of organic stone-ground flour, water, salt and yeast. I go by the credo that “the carbs are not the problem, what you put on them is!”. A poached egg served with a slice of avocado on sourdough toast will be good for you. A cheap-white bread sandwich loaded with butter mayo and filled with salami, will, not surpassingly, be bad for you! Sorry, please ignore my earlier question, I found it. Tomorrow I bake! I fully agree Silvia! I do not why people think that carbs make them fat! We need (good) carbs! And like you said, it is all about which sauce do you use for the pasta/rice, what do you put on your sandwich? I love that you fight for the carbs! On the other hand, it is sad that they should be fought for. Those Baguettes look great…will try this weekend! 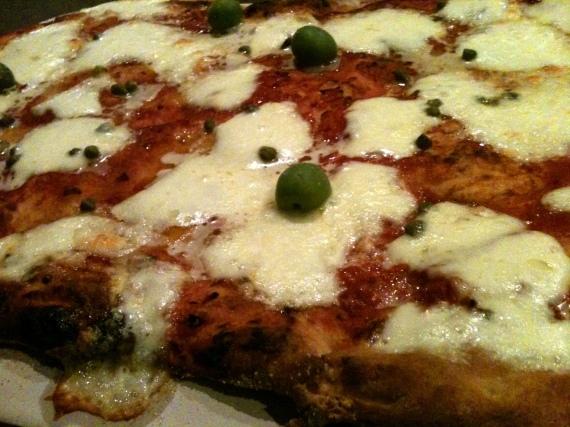 Silvia, Do you have a great yeast free or little yeast bread/pizza dough? Anything that is unbleached or stone ground would be my preference! I watch your show occasionally on fox life and i really, really like it. One of the main reasons: you do cook vegetarian italian dishes. I think you’d be happy to hear that I’m currently learning italian online just so that i can converse in italian in italy and relish authentic pizzas. Please feel free to search this blog for many vegetarian recipes and chocolate cakes as well. I am making the Olive Oil Crackers from your new book Love, Laugh Bake, and the dough seems a bit runny. I checked the ingredients and I have not made an error with quantities. It is also not rising much after 1.5 hours following the first mix/knead. Help! Can you tell me, how much live yeast I should use in a bread or pizza dough recipe , to replace the dry yeast. Do you mean sourdough culture of fresh brewer yeast?